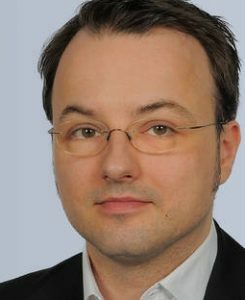 Juergen Streicher is researcher and project manager at JOANNEUM Research (POLICIES). He is an expert on international R&D collaborations, the innovation behaviour of small and medium-sized companies (SMEs), and R&D and technology research. He also engages in national and international cluster analysis studies as well as evaluations of research, technology and innovation (RTI) policies, programmes and institutions. Since 2014, Jürgen is co-coordinator of the annual Austrian Research and Technology Report for which he also writes chapters. In evaluation research, one of Jürgen’s goals is to better understand how evaluation processes and results can contribute to policy development. His PhD thesis (Streicher 2017) provides a detailed empirical analysis of factors and mechanisms that condition the effects of policy evaluations in RTI, using Austria as the case in point.